Stabilised developer especially formulated to be used with Refectocil Eyelash & Eyebrow tints. 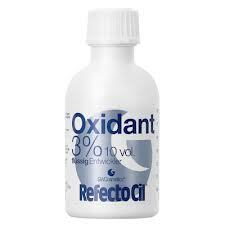 Only the use of Refectocil Oxidant guarantees the tinting results of Refectocil tints. Mix 10 drops of liquid oxidant with 2cm of tint – please read instructions.